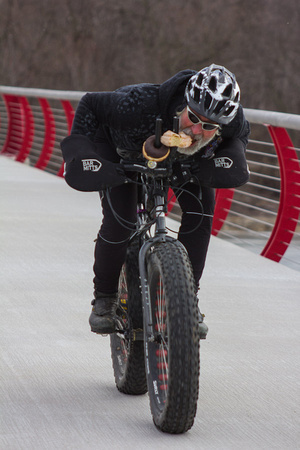 pocky: Several Surly fatbikes on a 40-50%-off overstock sale right now. These are Surly's own rate slashes, so you get this deal through any bike shop that will sell you a Surly and you get to support your local shop. Pugsley at $799 for SS, $899 for geared, $999 for Pug Ops. Moonlander or Ice Cream Truck Ops for $1199. My friend just bought a Moonlander through this deal. 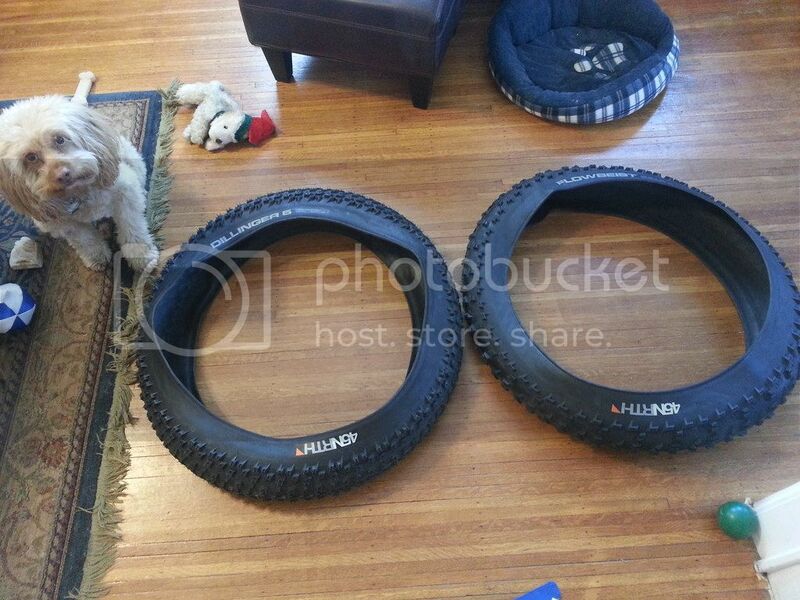 Killer deal on several varieties of 45NRTH and Surly fatbike tires. Just received my Flowbeist and Dillinger yesterday (shipping took exactly two weeks) and I can confirm they are the real deal. $90, shipped, for a pair -- these tires will run you 2-3x that price anywhere else, including from other sellers on eBay. wish they had something in the 32-38 range. 650c, 26" and minivelos in a range of frame sizes! Whenever I'm looking for a part I think it's more fun to call around and find the best deal in town rather than just find the cheapest mail order place and save like $7 bucks. So since I'm this much of a winner, I'll share my findings for 10spd chains. Note: Many bike shops seem to pay little to attention to the mspr of chains. It's not really fair to compare pretty different items. 10 speed chains are not all created equal, even the Ultegra 6600 10 speed chain and 6700 10 speed chain are different, both in weight and in profile. Please repeat for noseless saddles.You said time was infinite, so why the watch wrapped around your wrist? Right. I didn't bother asking Landry's which Ultegra it was because no one seems to have 6600 any more, but if those are actually the ones they have, it's probably still a good deal. 6700 chains were $45 at most places. nandys been slackin on posting tiny bikes. ^ saw that on the STEEL IS REAL fb group, but there's no size info and the wheels look too big. Nandy: ^ saw that on the STEEL IS REAL fb group, but there's no size info and the wheels look too big. I wish I knew you before. I had one of these, and gave it away to some other garden gnome for 75 dollars, + gold anodized front Araya wheel. I had too many Terry frames, and none of them fit. is this the time where i'm supposed to mention i had one in white too, as well as a team miyata knock off that was full chrome? because i did. i think i gave her one of the frames, because i just wanted to get rid of it.